Healthy news and information from Seim Orthodontics. What’s the Wisdom on Removing Third Molars? Wisdom teeth (third molars) typically start developing in the teen years. By the end of that period, the crowns of the wisdom teeth usually begin to erupt through the gums, if there’s sufficient room. By your mid-twenties, wisdom teeth will have entirely erupted through your gums, or become impacted. While wisdom tooth removal is seen as a rite of passage, not everyone will need to have their wisdom teeth removed. If your wisdom teeth are correctly positioned and completely healthy, they can remain. If wisdom teeth are crowding your other teeth, they will likely require removal. If wisdom teeth symptoms such as pain, soft tissue infection and extensive tooth decay aren’t addressed, they can eventually lead to various dental problems: damaging adjacent teeth, tooth or gum disease and oral cyst development. 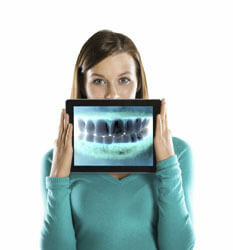 Your dentist can determine the position of your wisdom teeth and recommend the type of extraction. How Often Do I Need Dental X-rays? The answer depends on many factors, including your age, dental history and certain dental conditions. Most individuals have a complete series taken every three to five years, as well as bitewings, once annually. Wondering why you need X-rays? X-ray images can alert us to a range of conditions, including decay between teeth, gum disease, bone infections, abscesses, problems with teeth formation and even tumors. By identifying these problems in their earliest stages, you can avoid discomfort or pain, and costlier more extensive dental care. Remember that the small amount of radiation that you are exposed to during the X-ray process (particularly when digital X-rays are taken) is minor compared to the potential benefits of having them taken. For example, if a tumor is detected early your life could be saved. If it’s been a while since you’ve last had X-rays taken, give our practice a call. Remove and rinse dentures after eating. To remove food particles and other debris that can get stuck between your dentures, thoroughly rinse them. Clean your mouth after removing your dentures. Use a soft-bristled toothbrush or gauze to cleanse your tongue, cheeks and roof of your mouth (palate). Brush your dentures at least once daily. Remove and gently clean your dentures on a daily basis. Brush them lightly with a soft-bristled brush and a nonabrasive denture cleaner. Soak dentures overnight. 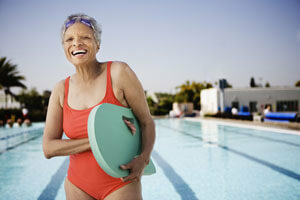 Most types of dentures require moisture to retain their shape. 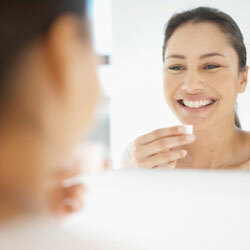 Place the dentures in water or a mild denture-soaking solution overnight. It’s essential to follow the manufacturer’s instructions on cleaning and soaking solutions. Store your dentures in a secure place overnight.